Japan's mended and patched textiles are referred to as boro, or ragged, both in Japan and abroad. Boro textiles are usually sewn from nineteenth and early twentieth century rags and patches of indigo dyed cotton. The diversity of patches on any given piece is a veritable encyclopedia of hand-loomed cotton indigo from old Japan. In most cases, the beautiful arrangement of patches and mending stitches is borne of necessity and happenstance, and was not planned by the maker. Imagine that boro textiles were stitched in the shadows of farmhouses, often at night by the light of one dim andon, on the laps of farm women. This unselfconscious creative process has yielded hand-made articles of soulful beauty, each of which calls upon to be recognized and admired as more than the utilitarian cloth they were intended to be. Join gallerist, historian and curator Stephen Szczepanek of Sri for a talk on the history of Japanese folk textiles, followed by a stitching workshop with author Kaari Meng of French General in Los Angeles. Stitchers will feast their eyes on examples from both Stephen and Kaari's collections of antique and vintage cloth and then stitch and assemble their own tote bag with a pieced top. 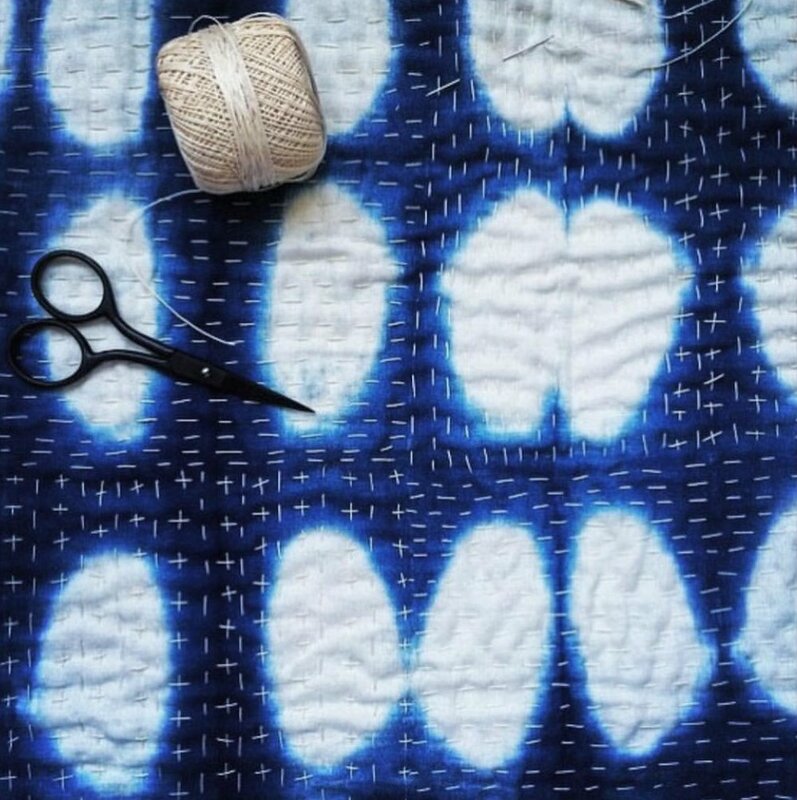 Workshop will focus on Sashiko stitching and Boro mending techniques. Stephen Szczepanek founded Sri in 2001. Sri is a by-appointment gallery in Greenpoint, Brooklyn that specializes in antique Japanese folk textiles. The gallery focuses on cloth woven from Japanese indigenous fibers, in indigo dyed cotton, and in the patched and mended cloth referred to boro. The collections aim to present a comprehensive offering of the distinctive textile traditions from all regions of old Japan.